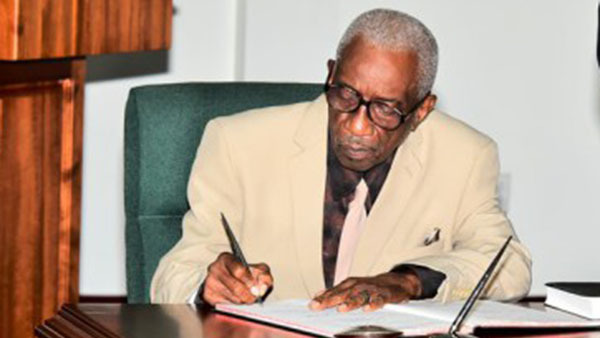 Justice (retired) James Patterson, last Thursday, signs the Oath, which accords him the powers and authority as Chairman of the Guyana Elections Commission (GECOM). Photo credit: GINA. GEORGETOWN, Guyana, October 25, 2017 (CMC) – The Guyana government, yesterday, said that President David Granger does not have to give a reason for appointing retired High Court judge, James Patterson, as chairman of the Guyana Elections Commission (GECOM), even as the main opposition, People’s Progressive Party (PPP), moved to the courts to reverse the decision. A statement, issued by the Office of the Attorney General, indicated that Granger does not have to abide by his own criteria, which he had sent the Opposition Leader, referring also to a ruling by Chief Justice, Roxane George-Wiltshire, that states the condition on which the President has to give reasons for rejecting the names already submitted. “The Leader of the Opposition and others, for that matter, may not agree with the reasons given, but they must be given so that the parameters for the submission of another list, if required, would be set,” states a section of the High Court ruling. 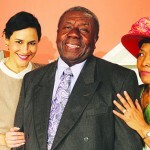 The Attorney General said that Article 161 (2) of Guyana’s Constitution allows the President to exercise his “discretion” to appoint a GECOM chairman from the “final list” submitted by the Opposition Leader, and that he is further empowered by Article 161 (2) “to act in his own deliberate judgement when exercising such discretion”. Last week Thursday, the former chief justice of Grenada was sworn in as the new GECOM chairman, ending months of bickering between President Granger and Opposition Leader, Bharrat Jagdeo, over a replacement for Dr. Suruj Surujbally. 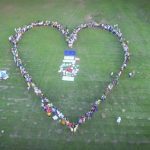 Jagdeo had at one stage threatened legal action over the non-appointment of a GECOM chairman, after President Granger had, on two previous occasions, declined to accept the names presented by the Opposition Leader as possible replacements. 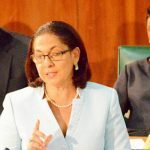 A government statement, last Thursday night, said that Granger had placed “reliance on the ruling of the Honourable Chief Justice, Madame Roxanne George-Wiltshire, in the exercise of his decision to reject the third list, dated August 25, 2017” indicating that Article 161 (2) of the Guyana Constitution “permits the President to act, independently, to appoint a person of the Judicial category to be the Chairman of GECOM, that is a person who is presumptively fit and proper”. 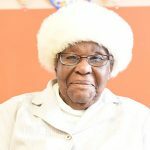 It said that Granger had written to Jagdeo, even providing him, at his request, with a list of criteria or characteristics that would make the listed persons acceptable, before resorting to appoint Justice Patterson. 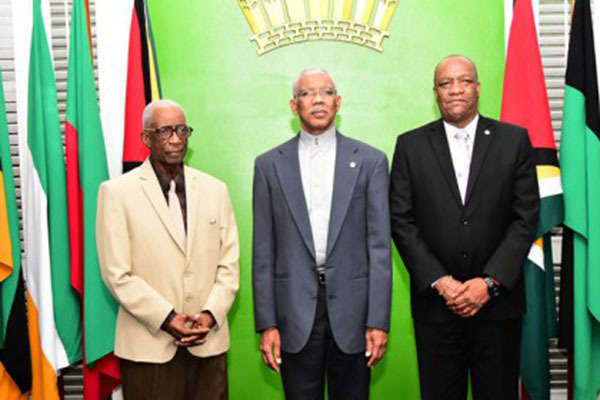 From left: Justice (retired) James Patterson, President David Granger and Minister of State, Joseph Harmon, after the swearing in ceremony for the new GECOM Chairman. Photo credit: GINA. “I informed him that I found the third list of nominees, submitted by the Leader of the Opposition to me, dated August 25, 2017, was “unacceptable” within the meaning of the Constitution. “I have also paid careful attention to the ruling of the Chief Justice in the case of Marcel Gaskin vs AG et al. 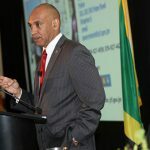 Desirous of fulfilling the requirements of the Constitution and given the need to appoint a Chairman of GECOM, and in light of the failure of the Leader of the Opposition to present a list that is not unacceptable, I have decided that it would be in the public’s interest to resort to the proviso of article 161 (2),” Granger wrote. 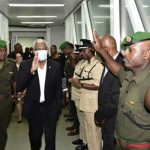 On Monday, the PPP filed a motion in the High Court seeking to reverse the appointment, alleging also that President Granger was biased in his selection and that he violated the constitution by selecting the retired High Court judge. The PPP, through its executive Secretary, Zulfikar Mustapha, wants the High Court to declare that the appointment of Patterson violated the constitution and is “accordingly, unlawful, illegal, unconstitutional, null, void and of no effect”. The opposition party is also claiming that Justice Patterson is not constitutionally qualified to be appointed GECOM chairman and wants the High Court to grant an order “rescinding, revoking, cancelling and setting aside the appointment”. In its application, the PPP contends that Justice Patterson cannot be, or appear to be, politically impartial and independent in the discharge of the functions of his office, on the grounds that he is a member of the advisory Committee on the Prerogative Mercy, appointed by the President. 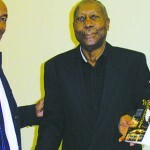 It said also that Justice Patterson is an advisor to the Attorney-General and Minister of Legal Affairs, appointed by the President, the Attorney-General or someone in the President’s government; was appointed by the President to head a Commission of Inquiry into a prison break at Georgetown, Guyana, during the month of July, 2017 and he was appointed by the President to be part of a panel to review applications for the positions of Chief Justice and Chancellor of the Judiciary. 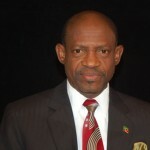 In its statement, the Office of the Attorney General, in dismissing the concerns of the opposition, noted that it was only after the names on the final list did not conform to those criteria, outlined by the Head of state, that Patterson was appointed “as a fit and proper person to the office of GECOM Chairman”.